Hello, and Happy Thanksgiving! As the year begins to wind down, we remember what we are thankful for – you, our customers! In appreciation of your business, we would like to offer some special sales for the week! 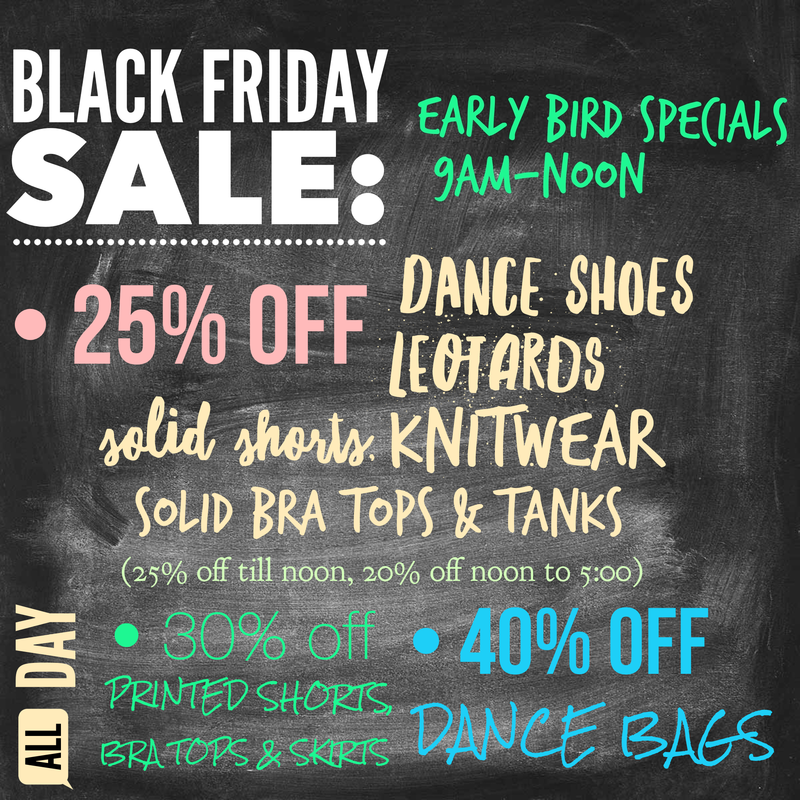 We will be having our annual Black Friday Sale, beginning at 9:00am on Friday. 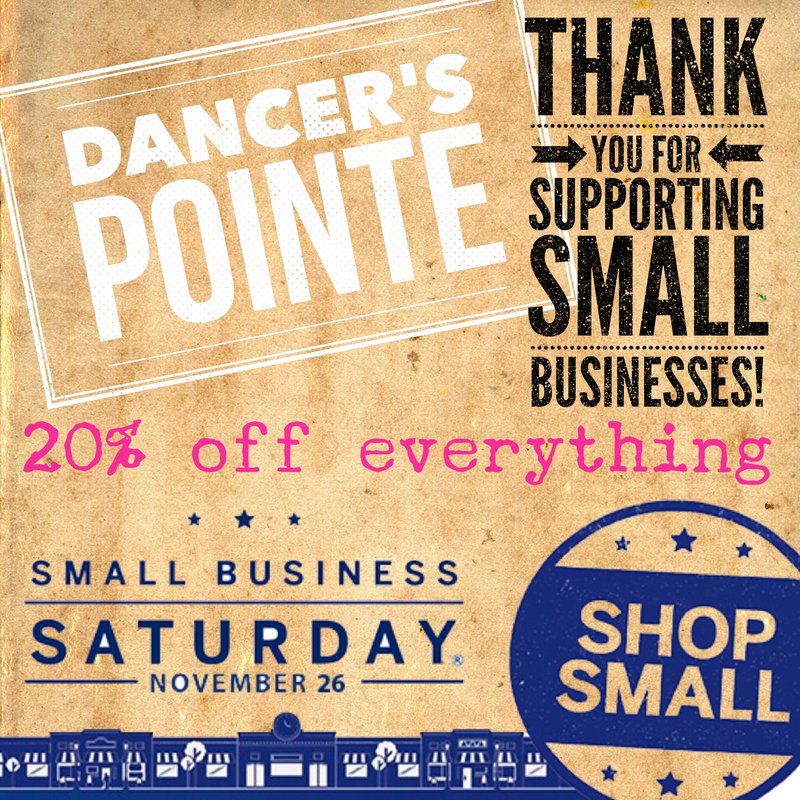 We continue with the festivities on Saturday, as we welcome you to shop on Small Business Saturday. 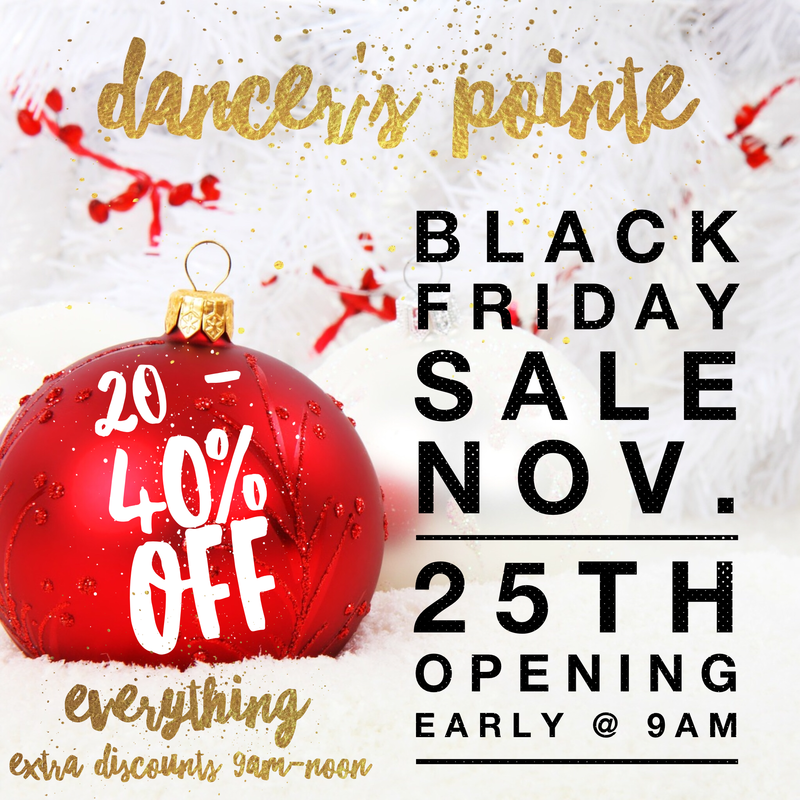 We encourage you to come in and find the perfect gifts for the special dancer in your life! And we thank you for your continued patronage!